Our Famous Azzurro Toscano is reborn into a slightly more Northern Italian version. 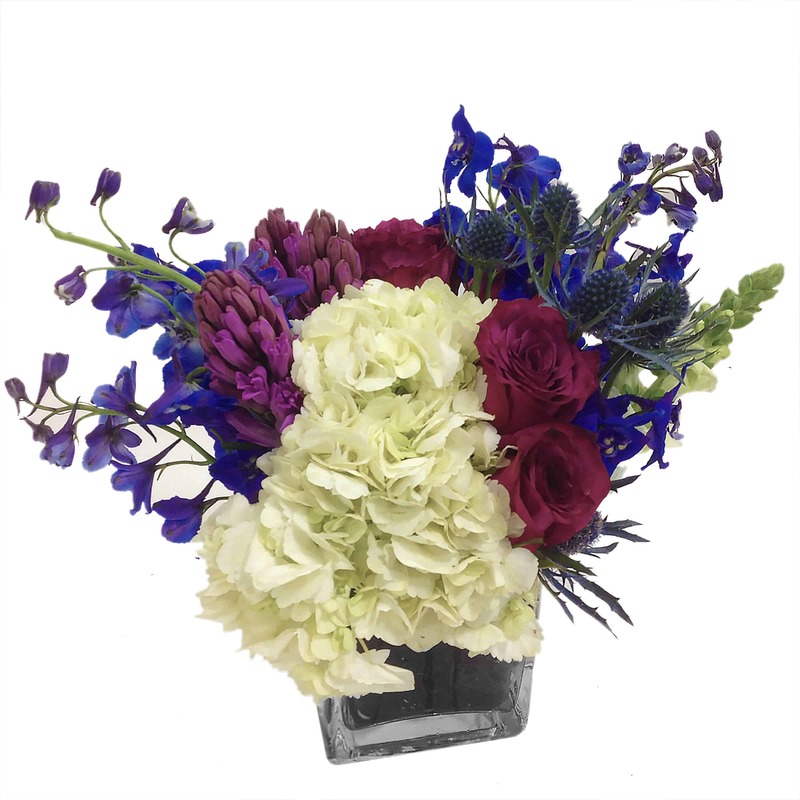 This seasonal arrangement mixes in hues of blue and white with the traditional hues of lavender. It sits in a square vase with a decorative leaf wrapped inside. This flower arrangement is bursting with style and makes a wonderful centerpiece! It could add a touch of class to your spare room or bathroom with it's beautiful cool colors, or it could also simply wish someone well! No matter how you use it, it will surely add refreshing beauty to any environment.